AJ+ is a division of Al Jazeera here in San Francisco that creates news media for the connected generation – young people that are in touch with the world. The journalists create fast-paced stories meant to connect with people on the go. I was tasked with refreshing the website, and chose instead to slow down and showcase the longer documentaries. After conducting research I found that visitors to the site are likely dedicated followers of AJ+ on social media, and open to diving deeper. 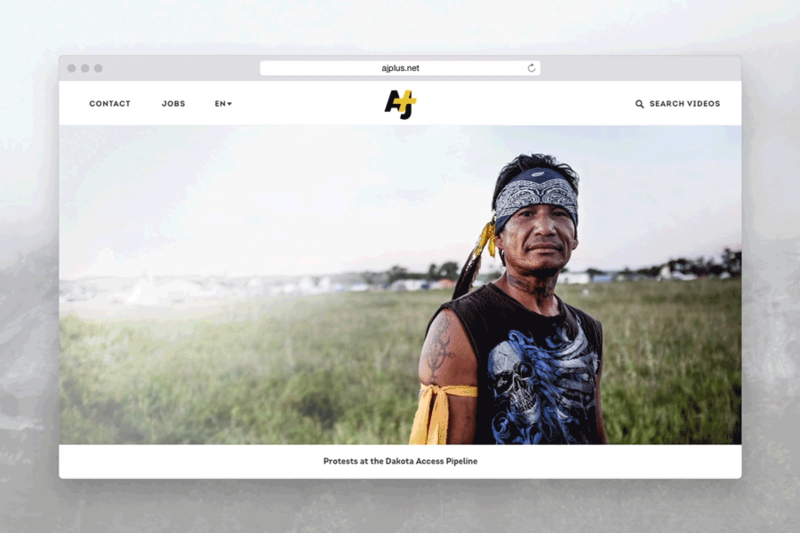 AJ+ strives to create innovative media platforms, and we did something special for election day. We created a chat bot that gave followers real-time updates sent to their Facebook messenger. We asked our audience to send photos with their "I voted" stickers along with a message about what voting means to them. After publishing a couple, more stories poured in. I was overwhelmed by the heart-felt messages. It was an emotional day, and using the chat bot really created a community between AJ+ and the audience.